Catering: Sponsored meals and snacks! Possibility to sleep on site: Yes. Bring your sleeping bag! Address: Väinö Linnan aukio 15, 3rd fl. FGJ Tampere is held at Demola, the innovation center that connects the most active students and companies all around Tampere and as such there isn’t a more suitable place to jam! The Demola facilities are in New Factory, right in the heart of Finlayson area and there are excellent public services nearby (including public transit and shops). 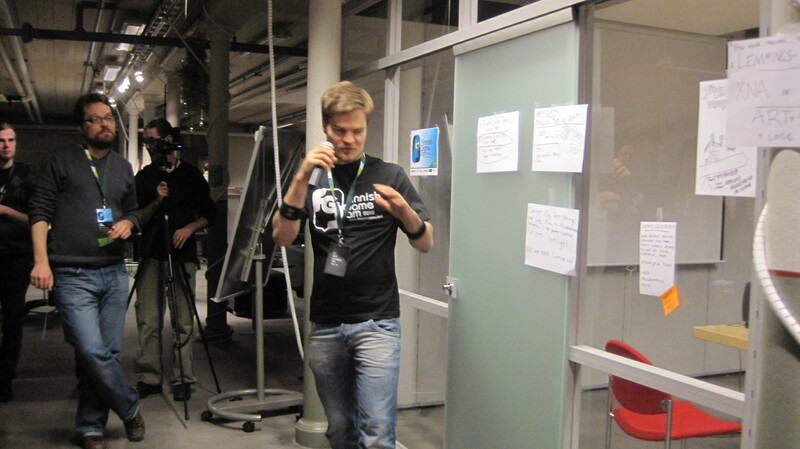 Tampere’s game jam is organized by the University of Tampere Game Research Lab, the game development community SCORE and student volunteers from the University of Tampere. The facilities are provided by Demola. Rovio is sponsoring Friday pizza for all the FGJ Tampere jammers! Avoin Tampere is sponsoring some snacks, coffee and subs for all the FGJ Tampere jammers! 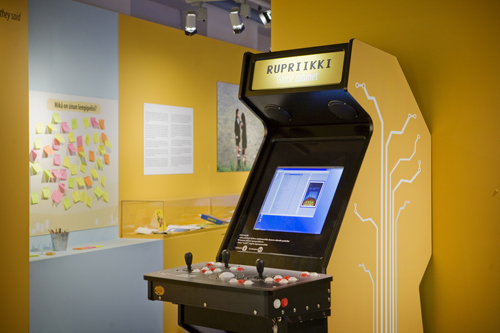 Rupriikki Media Museum is providing some escape for the jammers: a free access during the jam to their new exhibition featuring some game related gems (see picture below)!